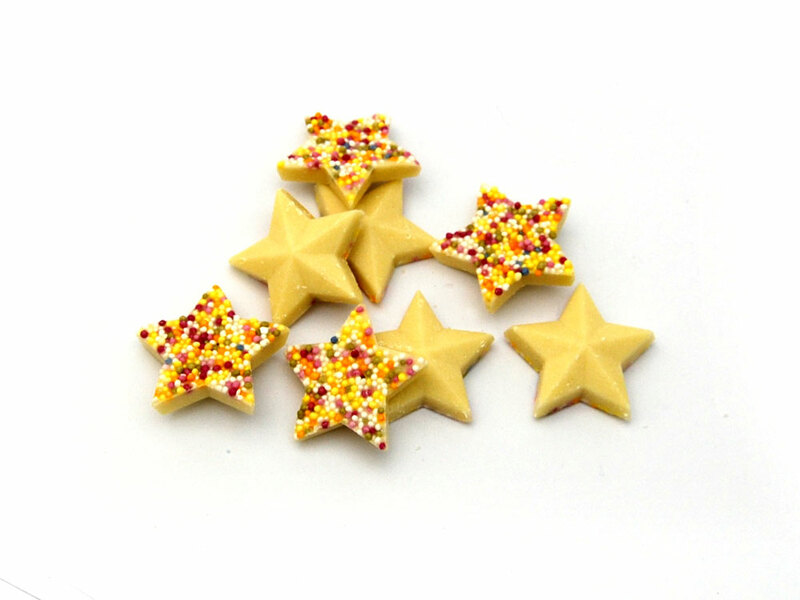 These white chocolate flavour stars with bobbly bits are a variation of an ol classic the white chocolate jazzie or Snowie. 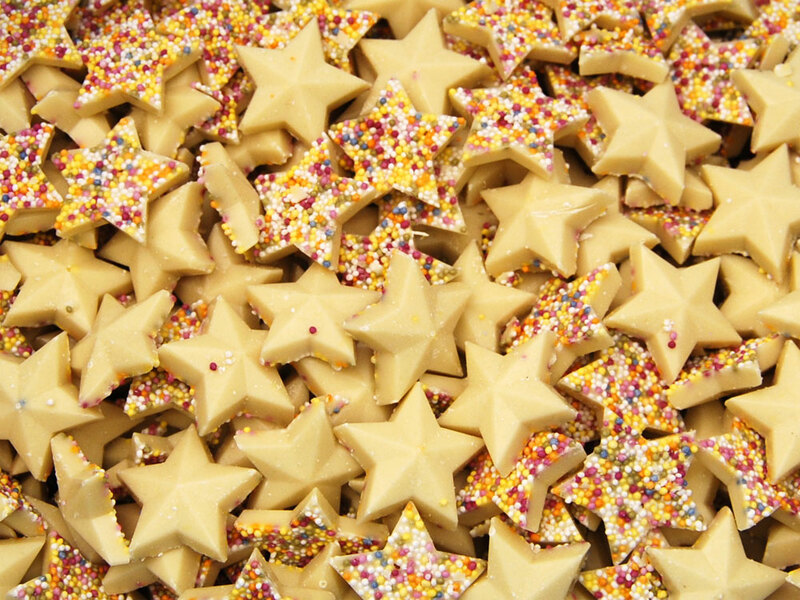 Still just as mouth wateringly tasty these white stars make great decorations or space and Christmas themed sweets. Grab a bag now. Sugar, Palm Oil, Whey Powder (from Milk), Wheat Flour (Contains Calcium Carbonate, Iron, Niacin, Thiamin), Emulsifier (Soya Lecithin), Wheat Starch, Water, Glucose Syrup, Natural Colours (Beetroot Red, Carotenes, Betanin, Anthocyanins), Glazing Agent (Beeswax). Allergen Advice: for allergens, including cereals containing gluten, see ingredients in bold.